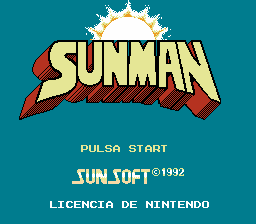 Sunman was originally a Superman game until Sunsoft lost the licensing. To data, there are two prototypes. One contains one level with Superman as a playable character, and the other is a much more complete game with the new super hero, Sunman. 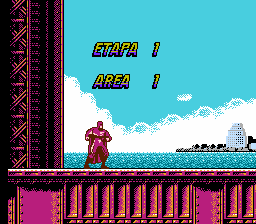 Despite Sunsoft having their name all over this game, EIM actually developed this game judging by the credits. 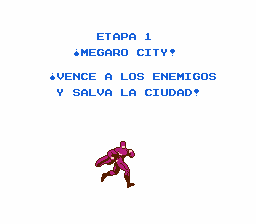 The gameplay is very similar to Batman for the NES. You can walk, jump, and punch just like Batman. Sunman overall has slippery controls but at least Sunman can fly. 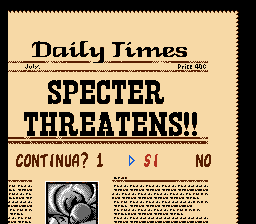 The game is pretty hard. The graphics on the other hand, are very nice. They are bright, colorful and detailed. The music sounds quite bad. It’s mostly the instruments that ruin potentially of great tracks. Sunman is an alright game. Definitely not as good as Batman, but it’s worth checking out. 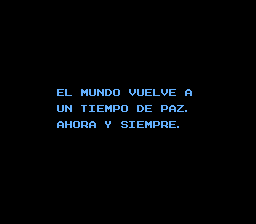 Translation to Spanish for “Sunman” for the NES.